so B was designed in the 1979. thats almost 40 years ago. patent should have expired long ago. why arent there alot of imitators out there? Last edited by mtb_addict; 04-12-19 at 12:45 AM. 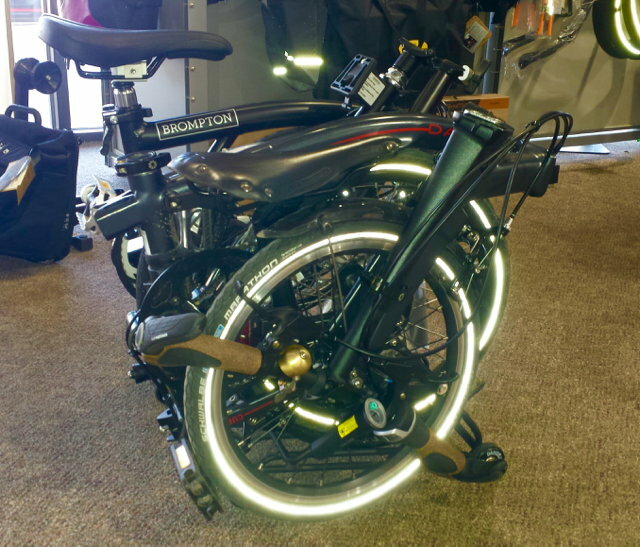 To achieve a compact fold, Brompton utilizes plenty of custom solutions and makes the custom parts actually affordable. You will not get to imitate them by copying just the frame, but need to go down the route of multitude of components and bag add-ons. When I asked 3sixty about some replacement part for Brompton they were offering on AliExpress they said they were just reselling a part by Brompton. 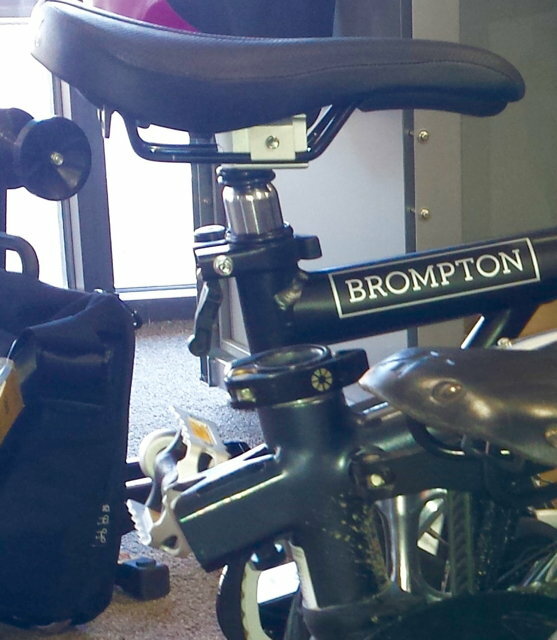 At some point to repeat what Brompton is doing at the same level you need to become Brompton. I recall such discussions in the industry in the context of Coca Cola - it might seem that all you need to imitate them is a formula for a drink, but in reality to reproduce their success you need to reproduce the whole infrastructure. Their patents have expired, but their copywright has not. Their overall shape, placement of cables, and something else that I cannot recall, are all covered by copyright as intellectual property. Dahon Curl, Chedech, MIT V8, Flamingo, titanium frames from Ali Baba, etc. The only one with legitamit dealership in USA is the Curl, but it cost just as much as the original, if not more! and the upgraded but backwards compatible components that is different.. The Brompton design is decades old. Rather than copying it, I would think companies would be trying to improve on it and create something new and better. And since the market is moving heavily toward electric bikes, that's where the innovation in folding will come from. In the meantime, there are bikes like Helix, Hummingbird, etc., that have moved the process forward. Copying a brompton would be going backwards in many ways. 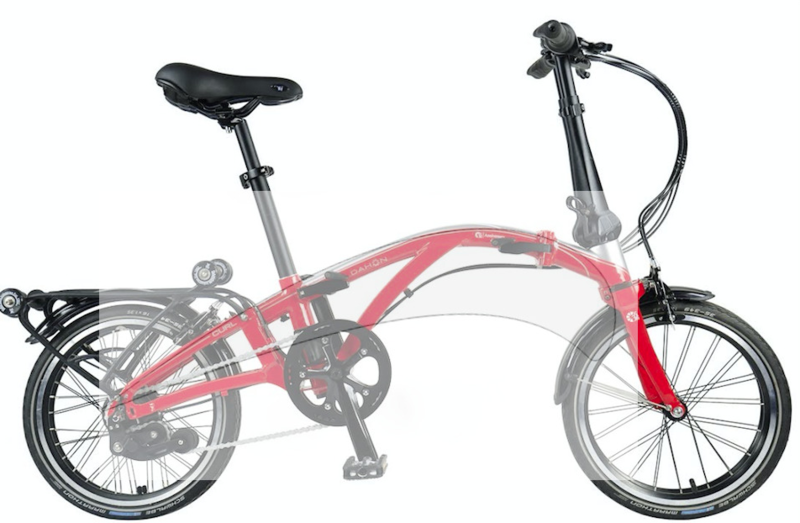 The best part of the brompton is the fold, all the rest is something that can and should be replaced with newer concepts (electronic shifting, etc.). If Helix takes off and becomes popular, more manufacturers will explore that type of fold on better bikes. The Brompton design is decades old. That is why I like it. For its classy looks. I don't like the more modern Curl...it just looks not good...I don't care how better it is...the extreme curved frame tubing reminds me of a hunchback. Last edited by mtb_addict; 04-12-19 at 10:28 AM. Yeah, I think the Curl is ugly, too. Another reason to not try to make "copies" of the Brompton but for manufacturers to design a brand new bike that folds as well. Helix (although bigger wheels) has a great folded shape and a fairly standard looking frame (except for the hinges). There are limitations with the Brompton - insufficient gear #s and limited fit adjustments - that could be addressed along with including new technology, fewer proprietary parts, all while retaining a terrific fold. If Brompton/Birdy had a baby with the pakiT and Helix, and took the best from each, it could be a great bike. Want to read up on copyright law? you can do that.. Imagine if someone had the foresight to copyright the diamond frame. Copyrights can be renewed perpetually. I agree. The Brompton is elegant and beautiful, the Curl is very off-putting. T When I asked 3sixty about some replacement part. Can't seem to find much info about 3sixty. My restrictive ISP blocked their home page. So a 3spd 3sixty is about $700 shipped to USA. the song "Happy Birthday" was under copyright for a ridiculous amount of time .. renewed ..
such as BMI / ASCAP..
Used Bromptons may change hands for about that $700 .. US. If you can find one first. Last edited by mtb_addict; 04-12-19 at 12:34 PM. I got a Mk 2, did service on it , modernized a few parts, and resold it when I found a Mk4.. .. The 3sixty looks to be a very true copy of the Bromption, but scaled down a little for the Asian market. The price seems good, but you have to accept that it could be seized by customs when it enters the country. They are going to release 2019 "Large" version which I heard will be a direct copy of current-gen UK brompton. its good there is more competition. that is always good for consumers. how much shorter is the toptube? it would be difficult to ask anyone to put out $700, not knowing if it will be allowed by custom. without the mudguard it may be straight ahead clearance, but I dont have both to measure .. I re sold the other, years ago..
when I had the older B I added a rear facing SAP, to get my reach adequate length, with the newer bike i did not need it .. There are a great many folding bikes following Andrew Ritchie's brilliant design which are built and sold in Asia. 3Sixty, B-Bike, Chedech, Cigna, Crosshead, Flamingo, Fova, Groo, Java, La Bici, MIT, Neo, Pico, Sanye, United and Viking are just some of the brand names. These range from slapdash copies of the Brompton Mk II up through ranges of quality to titanium and carbon fiber efforts.